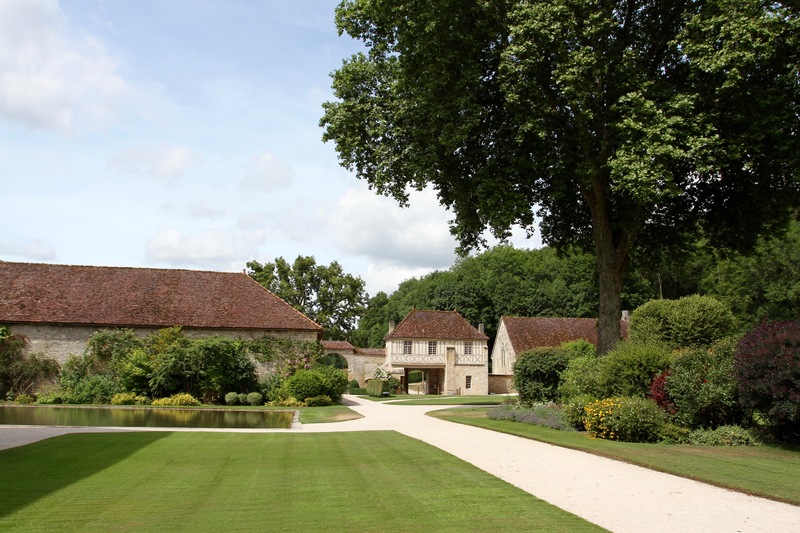 The glorious Abbey de Fontenay sits in a wide, lush valley surrounded by meadows and forests. Even today, a secluded location far from any centres of population make it an exceptionally peaceful place. Living here in the 12th century must have felt a little like living on another planet. 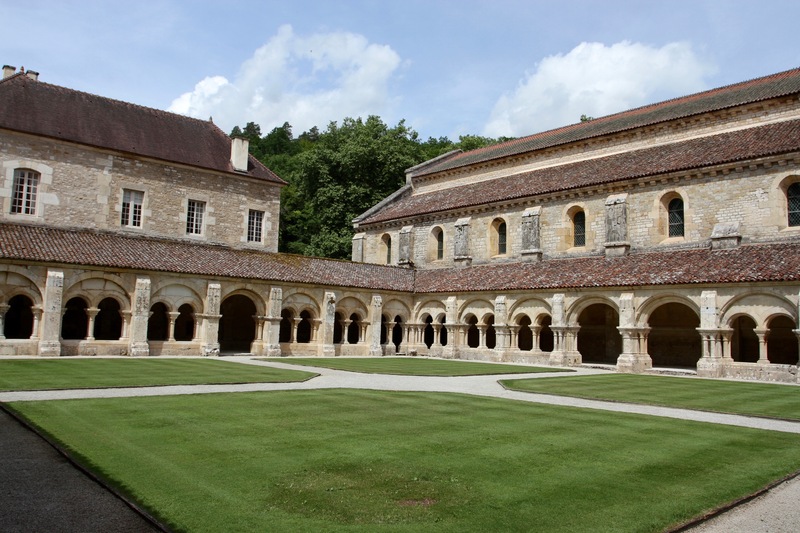 We drove on single track roads through picturesque wooded hills to reach the Abbey, which is rightly famous for being the most well preserved Cistercian abbey in the world. 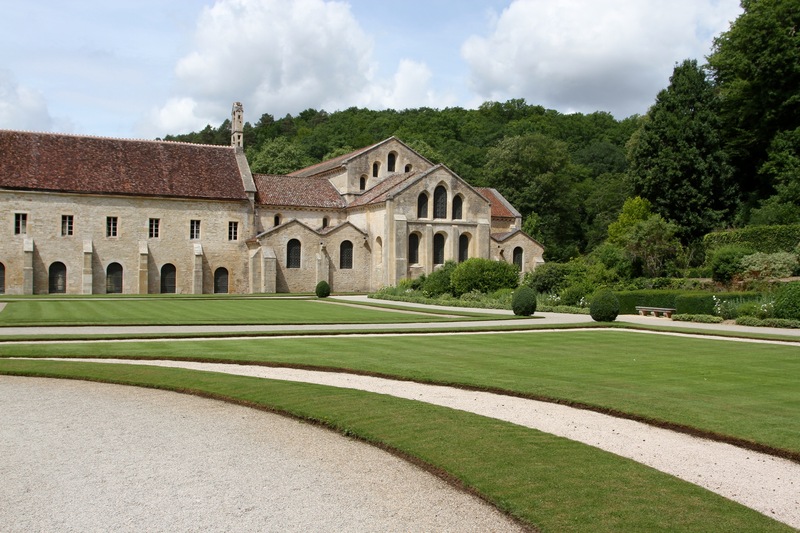 The Abbey de Fontenay was founded almost nine centuries ago in 1118 by St. Bernard of Clairvaux. 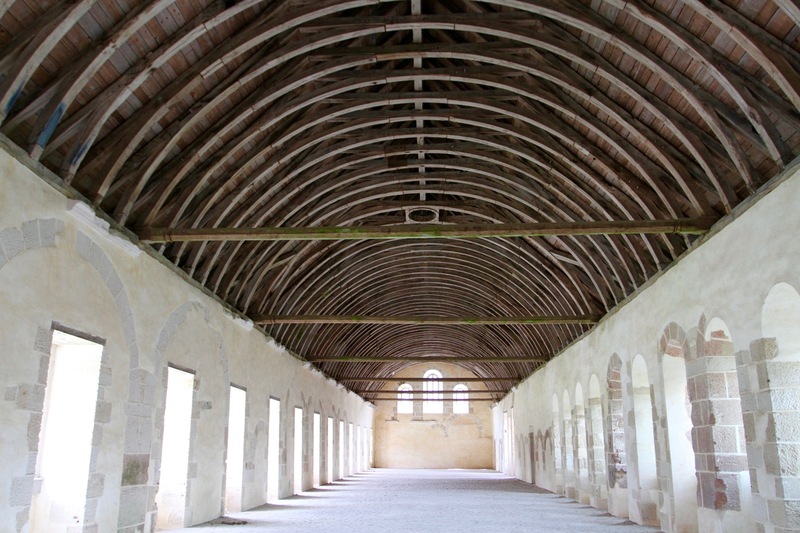 Monks first moved into the abbey in 1130. 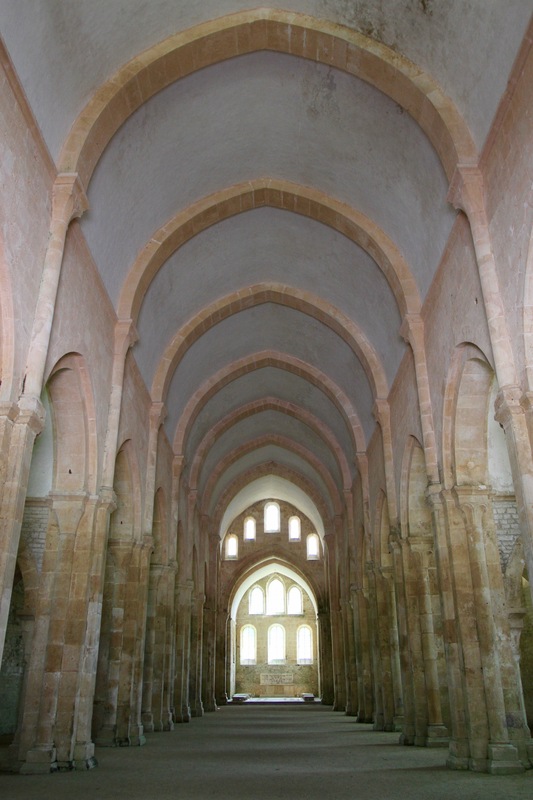 By the time of St. Bernard’s death in 1153, the Cistercian’s had spread all over Europe. This was clear in 1139 when the English Bishop of Norwich turned up seeking sanctuary. A wealthy individual, he helped financed the building of the abbey’s church. The church was consecrated in 1147 by Pope Eugene III. By 1200 the complex was complete, with 300 monks were living here. There are no monks anymore, but everything else is as it would have been in 1200. The passing centuries weren’t always peaceful. During the Hundred Years’ War, English soldiers pillaged the abbey. 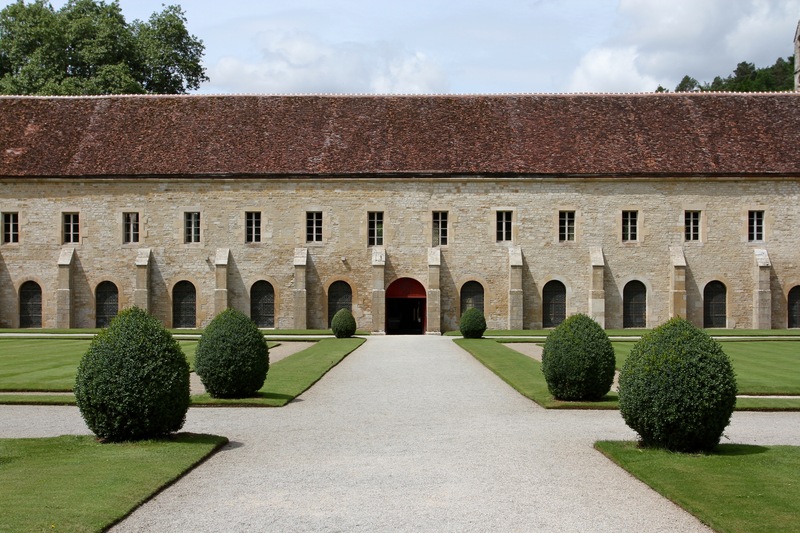 The 16th century French Wars of Religion saw substantial damage, and monastic life finally came to an end in the French Revolution. 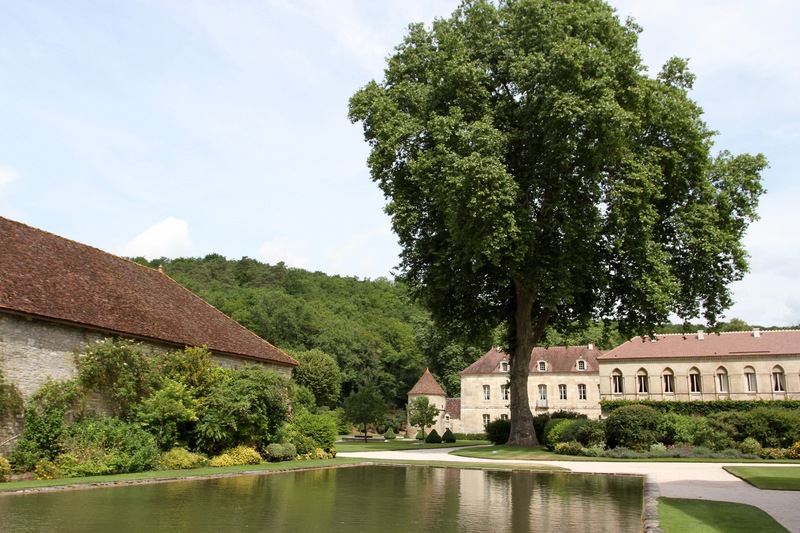 The monks were thrown out of Fontenay, and it was turned into a paper mill. Ironically, this probably saved it from destruction. Much like my own, severe asceticism was the Cistercian way of life. Collecting tithes and commercial transactions were banned. 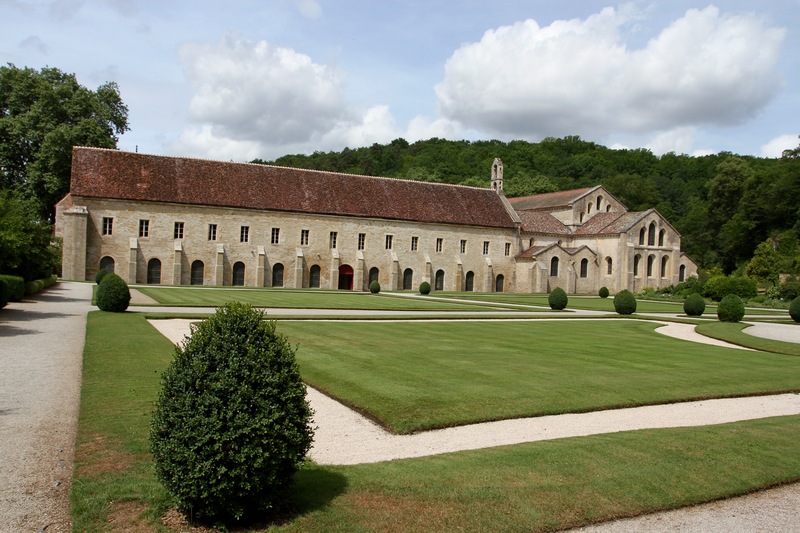 Rejecting the laxity of other monastic orders, a Cistercian monk was expected to divide his day between prayer, study and manual labor, living a life of poverty, chastity and obedience. Manual labour became a principal feature of their life and a counterpoint to the great displays of wealth seen in the Catholic church. The order’s strict monastic rules were intended to return it to a simpler religious life. 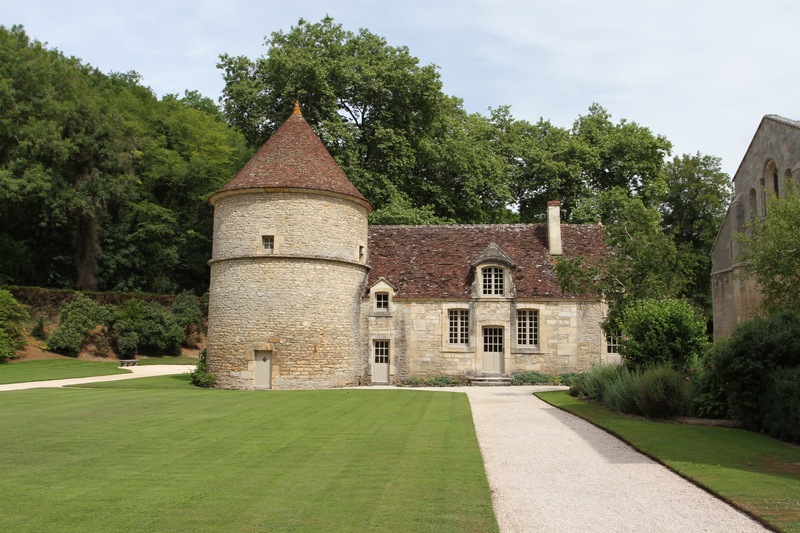 This is reflected in Fontenay’s plain buildings. It’s not that they aren’t impressive, the Abbey church is utterly magnificent with its towering arches, but they are distinctive thanks to their lack of ornamentation. 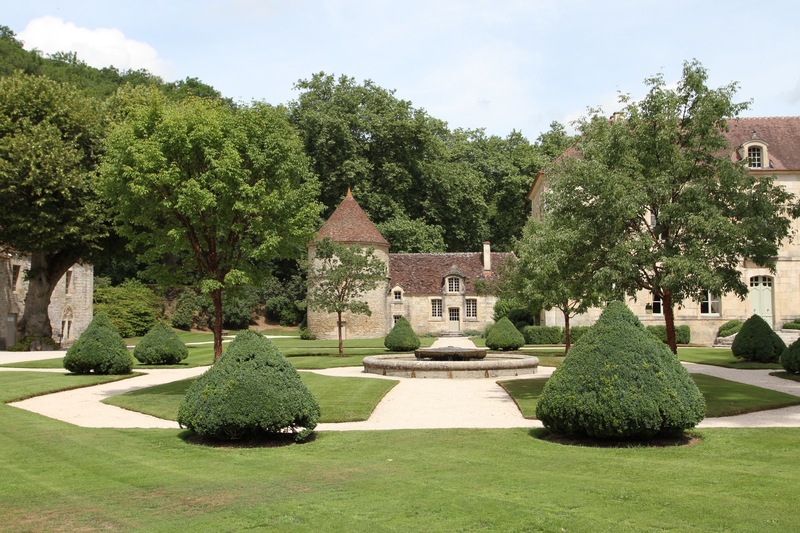 The number of tourists Fontenay attracts today would have horrified the Cistercians. 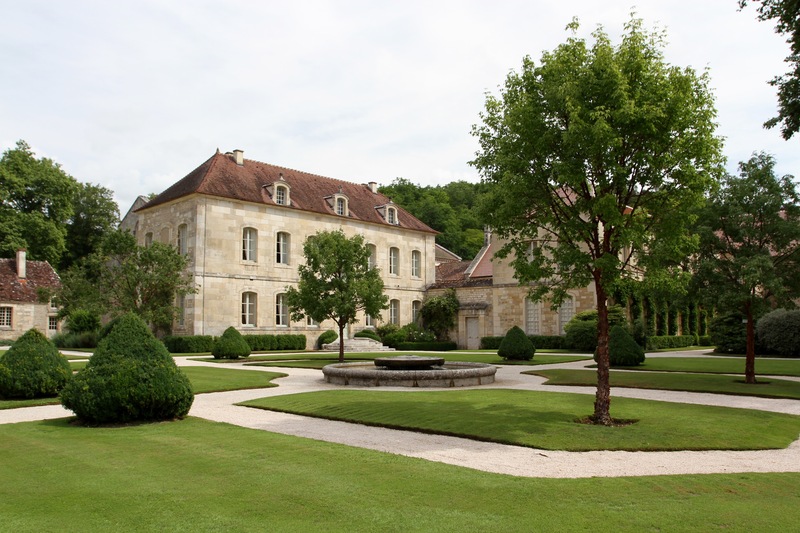 While the Benedictines built guesthouses, the Cistercians discouraged visitors, preferring self-sufficient isolation. This didn’t mean isolation from ideas and technology though. 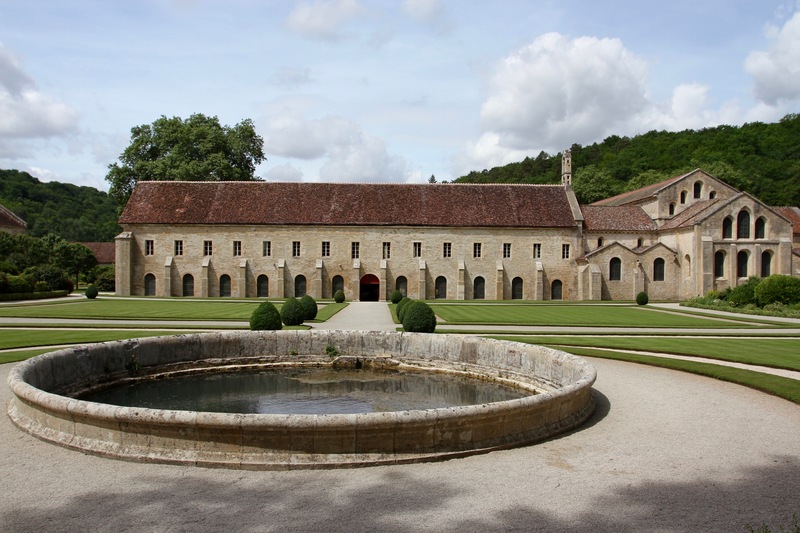 The Cistercian’s were great innovators and at Fontenay they built a water-powered forge. The monks extracted iron ore near the monastery, and used the forge to make iron tools for their own use and for sale. It’s believed that this is one of the earliest metallurgical factories in Europe, it’s also where the hydraulic hammer was invented. A working replica was built in 2008. The austerity didn’t last. 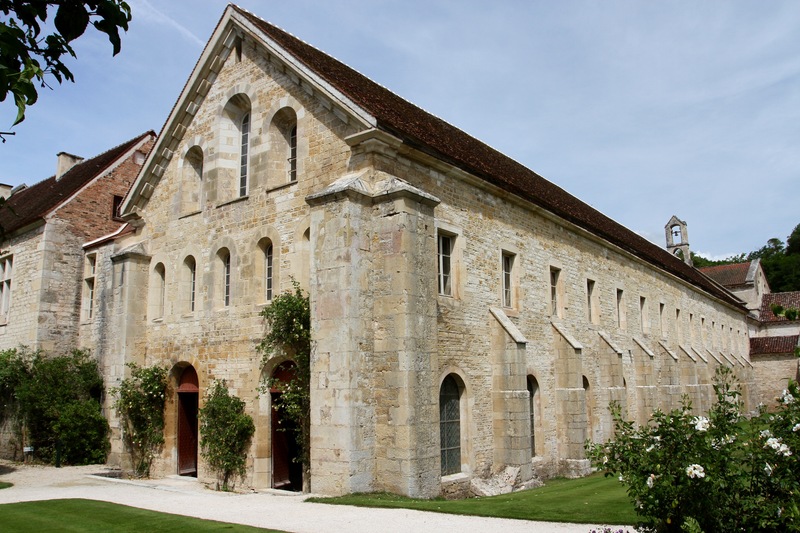 The Cistercians were agricultural innovators, making land and animals more productive than in normal farms – helped by the fact the they had a free workforce. The accumulation of wealth led to a breakdown in the discipline that had been the hallmark of the movement. As Chaucer wrote in the Canterbury Tales, radix malorum est cupiditas, the love of money is the root of all evil. …the physical and mental rigour required for such a life is hard to imagine today.